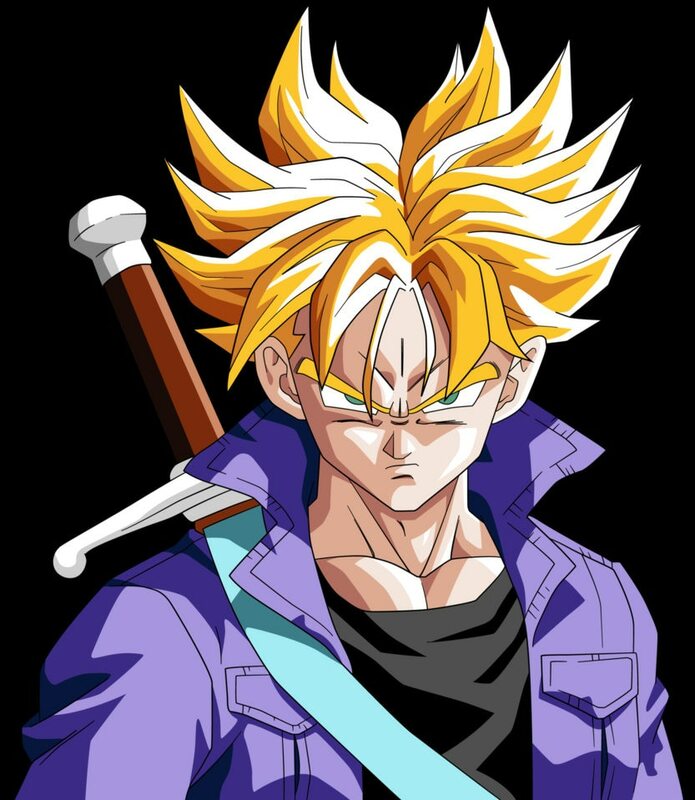 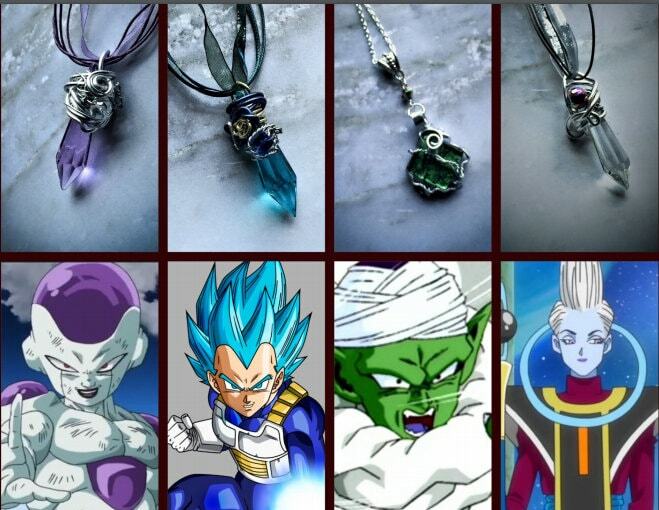 This is inspired by Trunk's SSJ form. 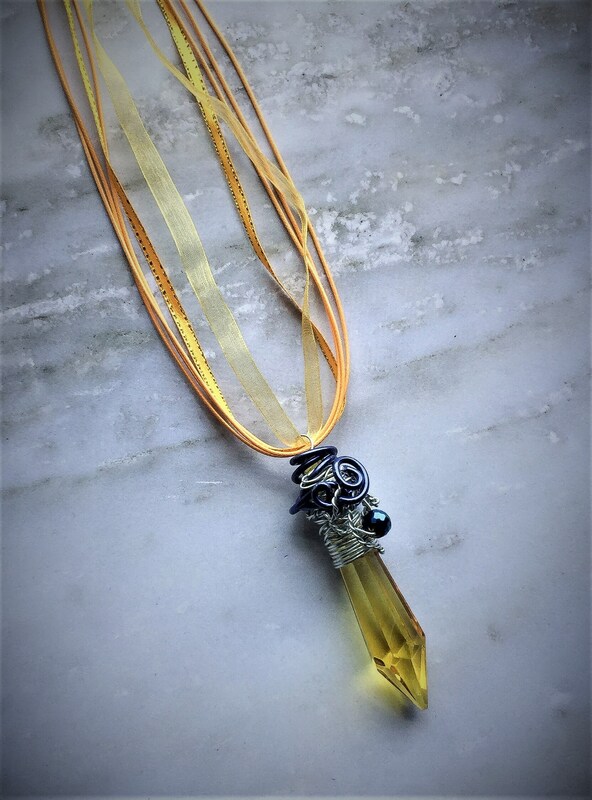 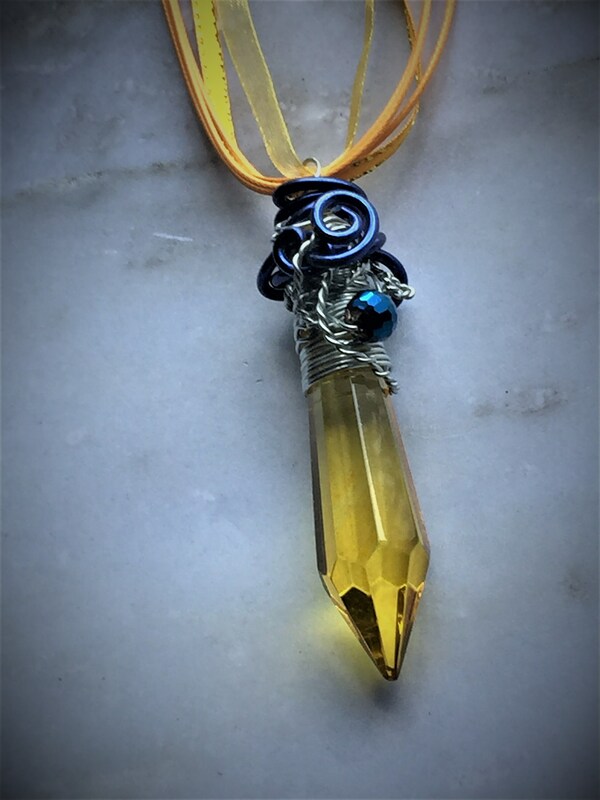 I took a luminous yellow crystal 3 1/4" in length and wrapped in layers of deep blue and silver aluminum wire. 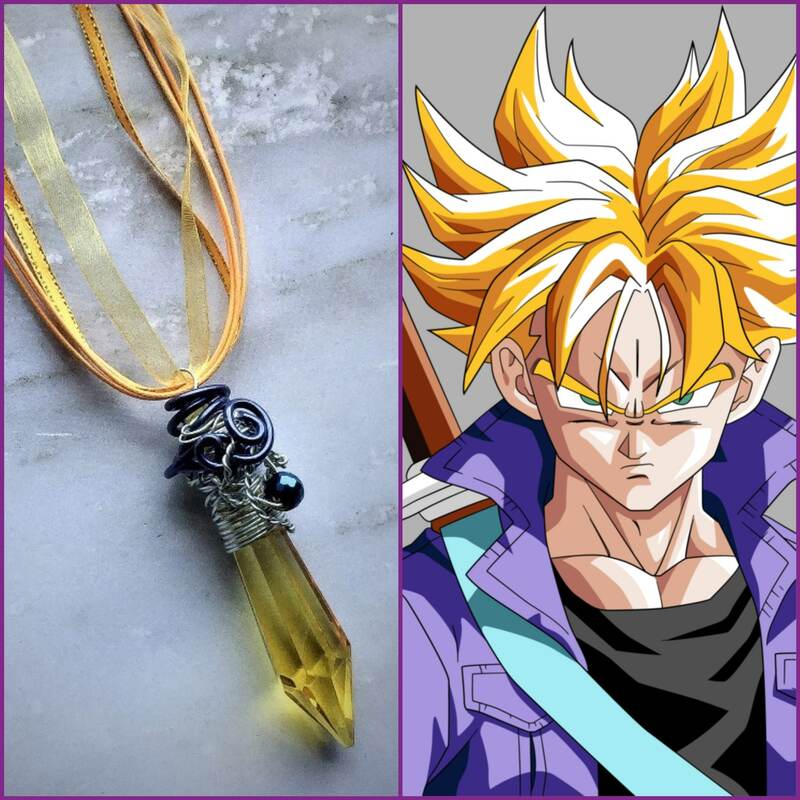 It's embellished with a beautiful deep blue crystal bead.